United Welsh is a registered social landlord operating under charitable rules. 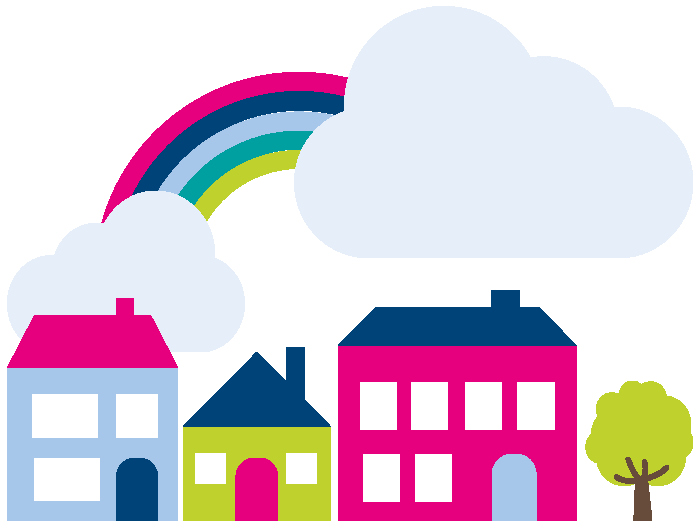 They offer a range of homes including family houses, apartments and bungalows, and manage almost 6,000 homes across 11 local authorities in South Wales. 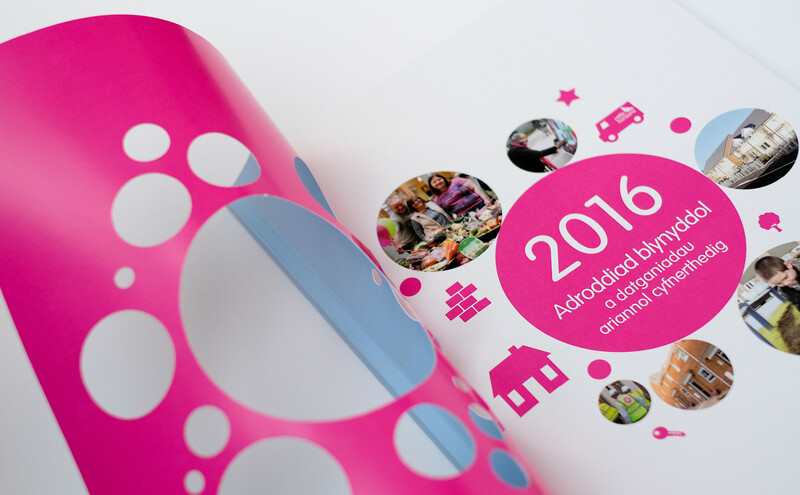 We were asked to design their annual report which provides an engaging review of performance and priorities over the year. 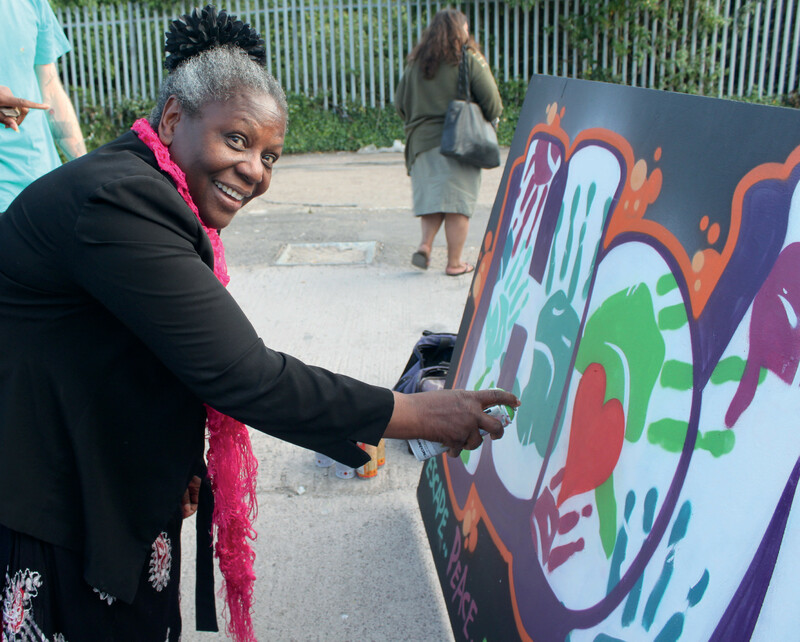 Recently we helped United Welsh reinvigorate their brand to keep it relevant and up-to-date. The new branding has been implemented across a wide range of materials for which their annual report is also part of this process. Annual report design can make a significant difference in an audience’s perception of a company. It is one of the most credible ways to get corporate messages and values across so it is essential that an annual report is both organised and engaging. 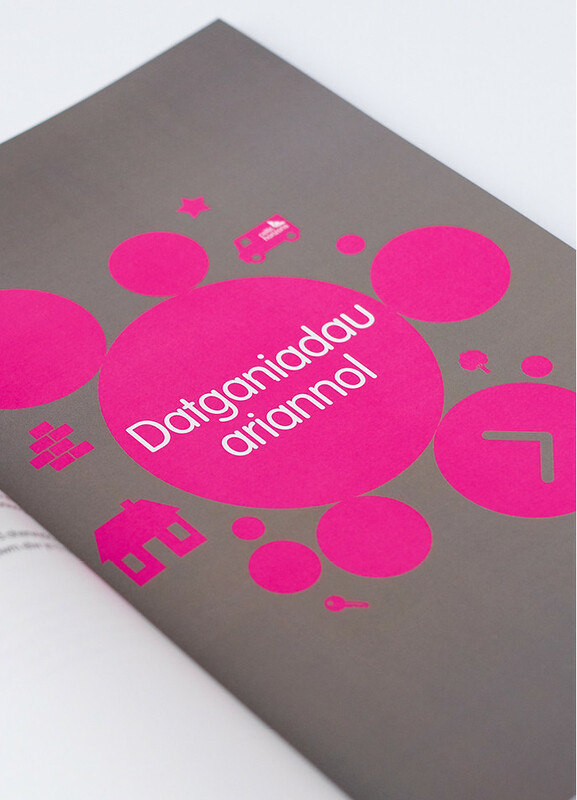 The fresh and clean design with bright colours taken from the corporate palette gives the report a current feel whilst supporting United Welsh’s vision for the future. The cover creates a sense of fun with die cut circles allowing the images and icons to shine through. The report is filled with creative infographics and iconography highlighting key messages and stats along with photography to help the reader navigate through the information. The financial section is clearly laid out to allow readers to focus on the reported data. 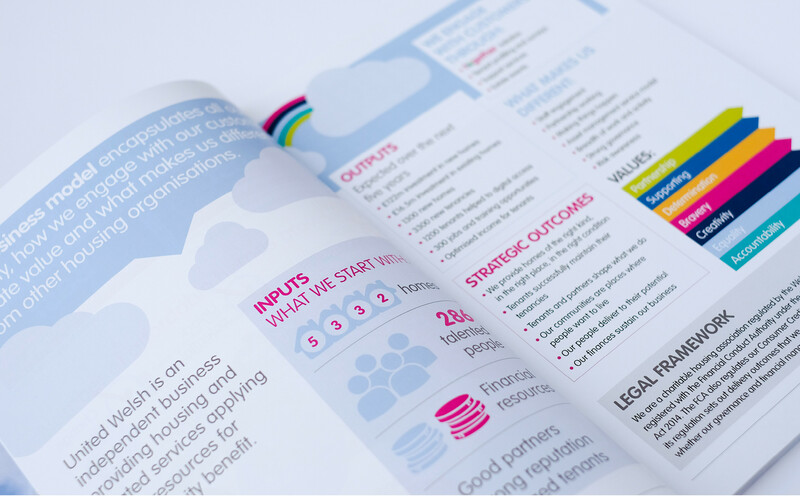 Designing this annual report allowed us to utilise not only our design and artwork skills, but also project management and print buying expertise. 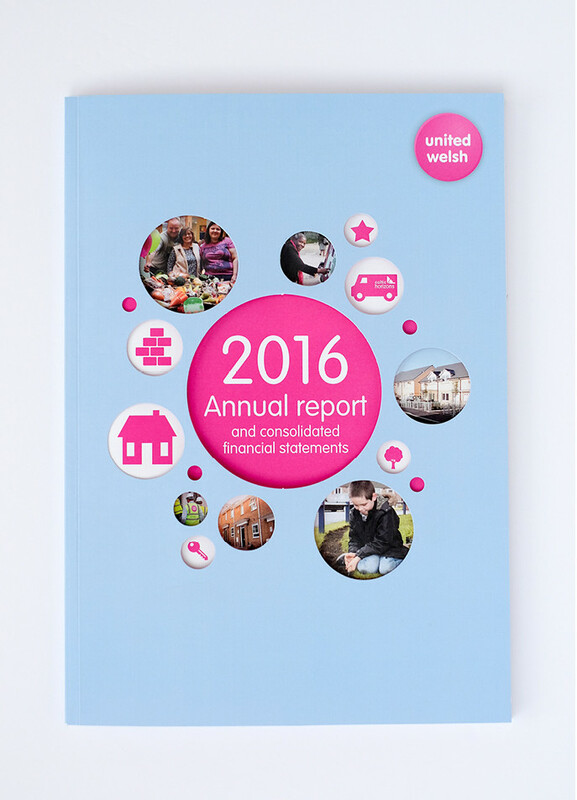 The annual report was launched at the United Welsh AGM so we had to deliver on a specific date – with no room for manoeuvre!